Police Scotland is to increase the number of officers within armed policing to help maintain the safety and security of our communities. Plans were being taken forward to recruit 124 officers from across Police Scotland to enhance the capacity and capability across the country in response to any emerging threat. The Scottish Police Authority and the Scottish Government have been fully involved in discussions around the increase, which is an operational decision for the Chief Constable.. The increase is in response to the latest assessments of threat from terrorism and criminal use of firearms. It would mean that fewer than three per cent of officers are deployed in a firearms capacity in Scotland, which is comparable with other forces in the UK. Assistant Chief Constable Higgins said: “The threat level to the UK remains severe. There is no specific known threat to Scotland and this increase is not a response to any direct intelligence, but we must play our part in ensuring the safety and security of the whole of the UK. It would be dangerously complacent to think that Scotland is any less at risk than the rest of the UK and this move helps enhance our response. “The current firearms deployment model was developed in 2013. Much has changed, especially around the threat from terrorism, but also our understanding and assessment of criminal access to and use of firearms. ”Our focus remains absolutely clear: to protect the public; reduce the risk posed by criminals including terrorists; and ensure we respond swiftly, effectively and decisively to any threat. 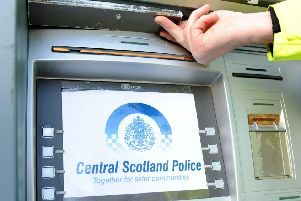 Justice Secretary Michael Matheson added: “This is an operational decision for the Chief Constable to make, and it is a decision that has the full backing of Scottish Ministers and the Scottish Police Authority. The increases will take place over the coming months with additional ARVs deployed in key locations, specialist firearms capability enhanced and resources for training.